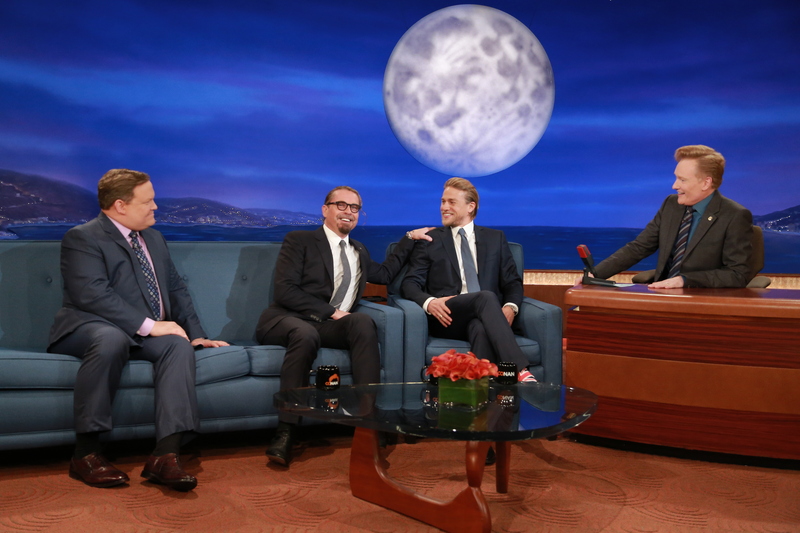 Watch clips from the Sons of Anarchy cast’s visit to Conan, which aired on TBS on November 11, 2014. To be completely honest, I’m not at all ready, able, or willing to talk about the end of Sons of Anarchy. We only have 3 more episodes to go, and with the SHOCKING ending of this week’s episode, everything is up in the air. Nothing is certain about the fate of the characters we love. 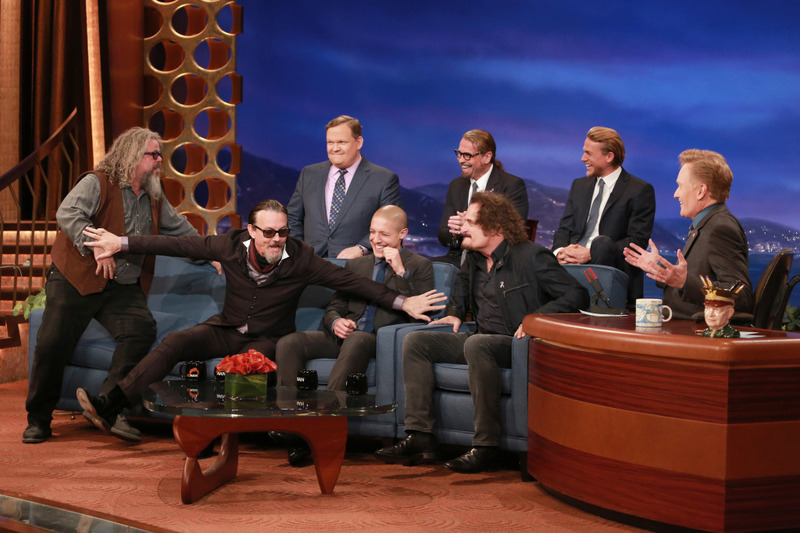 Filming wrapped on the Final Ride 16 days ago, and to celebrate, the SoA cast visited Conan this past Tuesday, November 11. See below clips of the interview with Kurt Sutter (Creator, Showrunner), Charlie Hunnam (Jax Teller), Jimmy Smits (Nero Padilla), Theo Rossi (Juice Ortiz), Mark Boone Junior (Bobby Munson), Kim Coates (Tig Trager), Drea de Matteo (Wendy Teller), and Tommy Flanagan (Chibs Telford). You can also watch the full episode HERE, which features an intro with Conan O’Brien wearing a special cut, riding into Charming, and causing trouble. It’s so great to watch the SoA cast have fun together. I especially love Kurt’s fantasy ending with Jax waking up from a dream, the idea of a Christmas Special (the disagreement about whose idea it was is pretty hilarious), and the part where they’re talking about their most aggressive female fans! What was your favorite part of the interview? Make sure to tune in and watch the final 3 episodes of Sons of Anarchy Tuesday nights at 10:00pmET on FX.